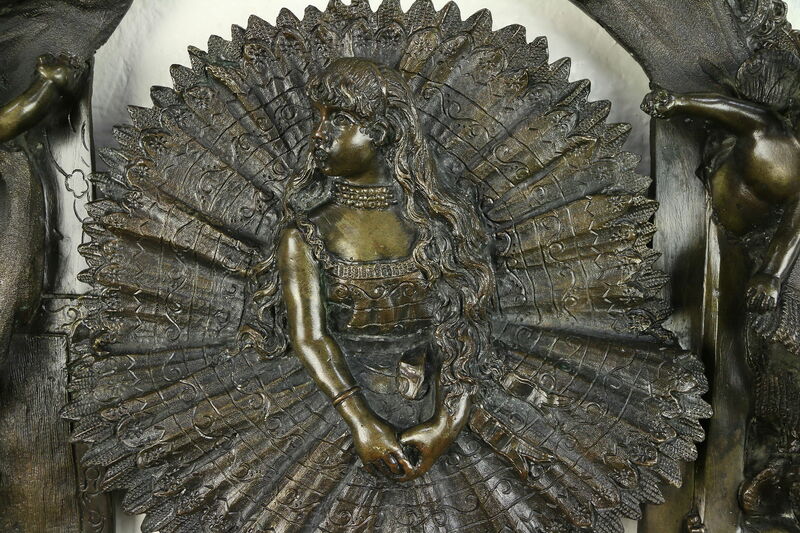 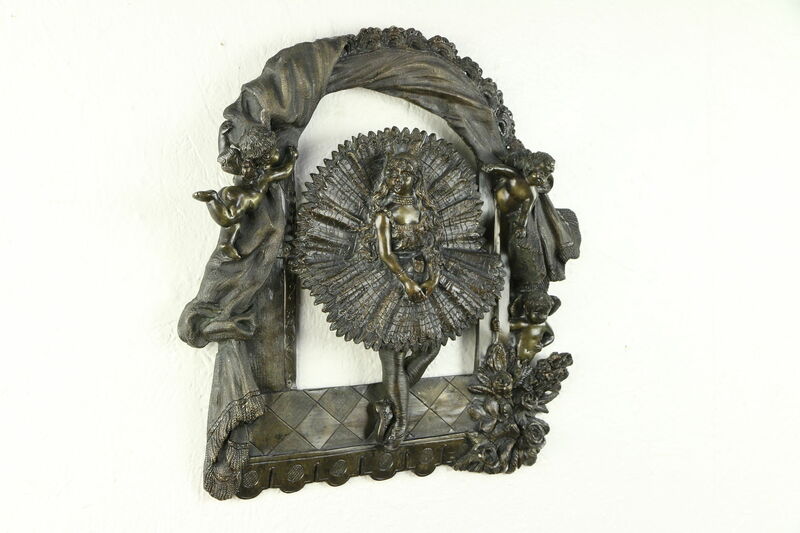 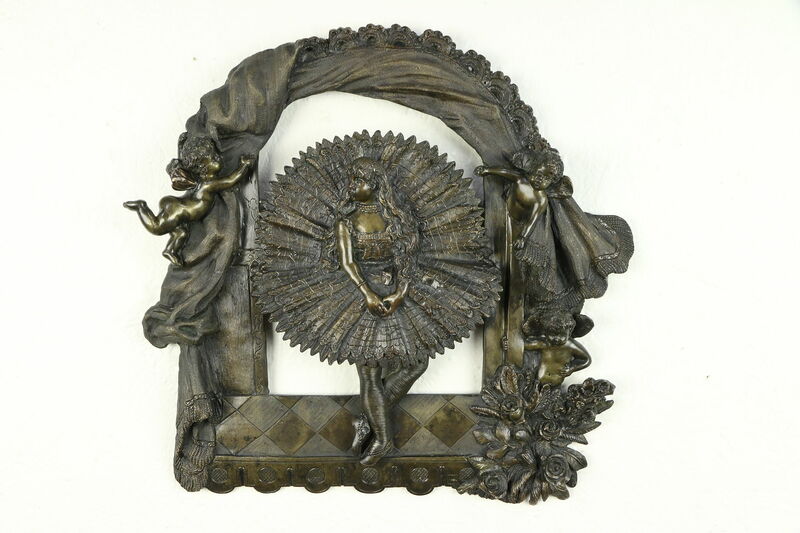 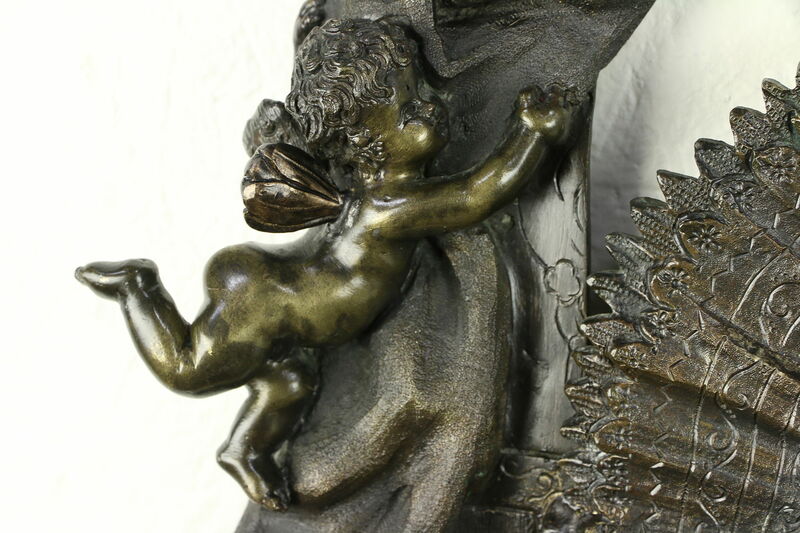 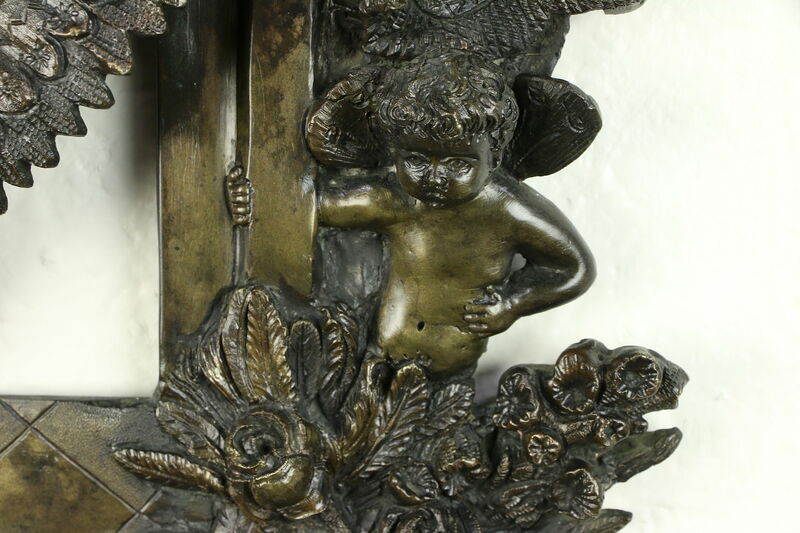 Solid bronze from about 1880, this exquisite sculpture of a ballet dancer includes angels or cherubs with a bouquet of roses and a draped stage proscenium. 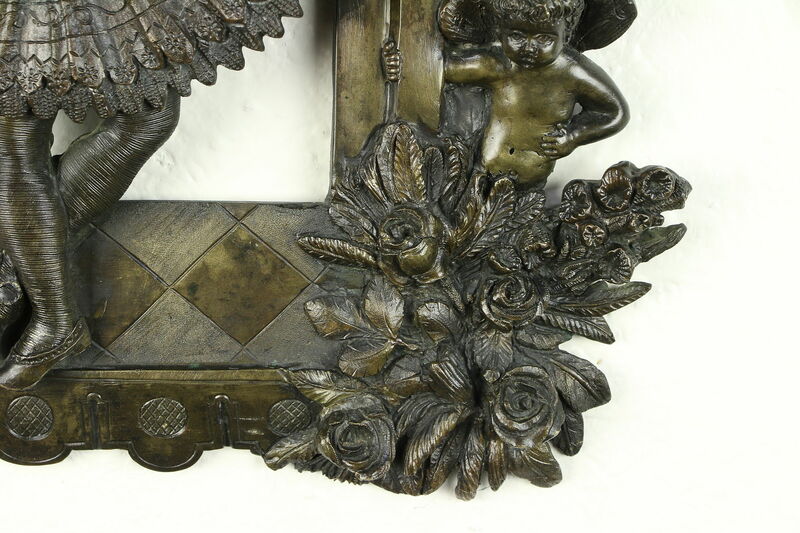 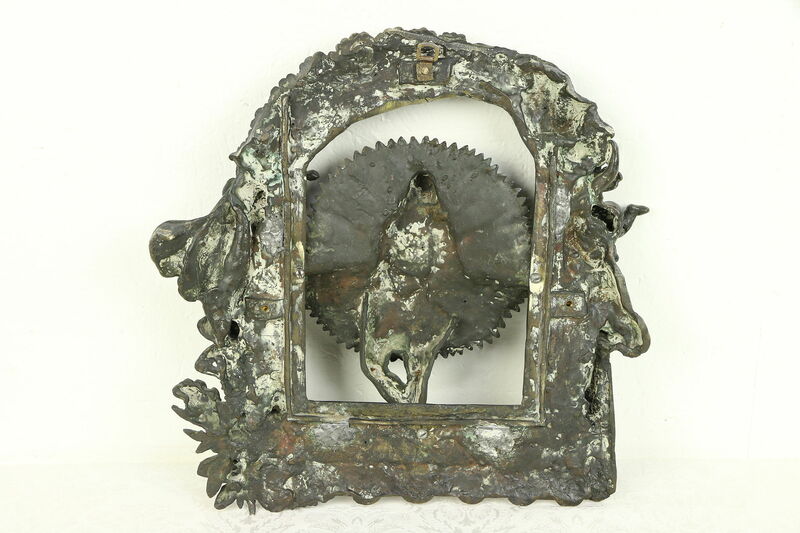 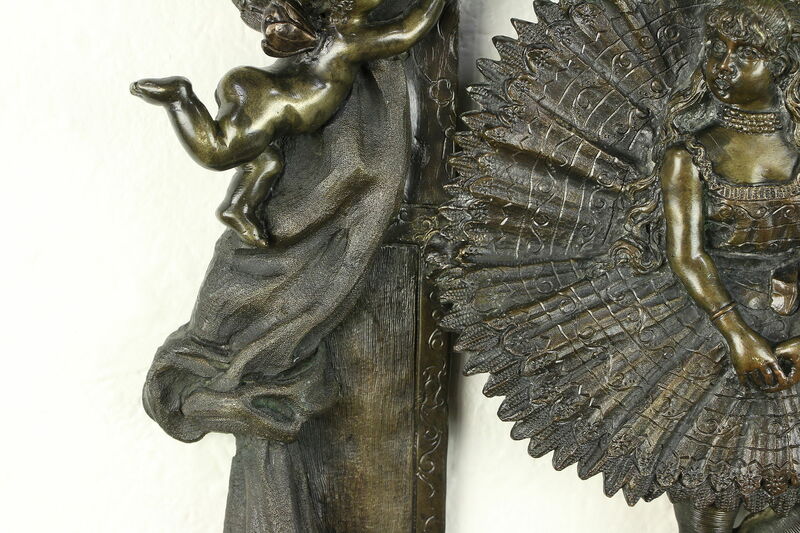 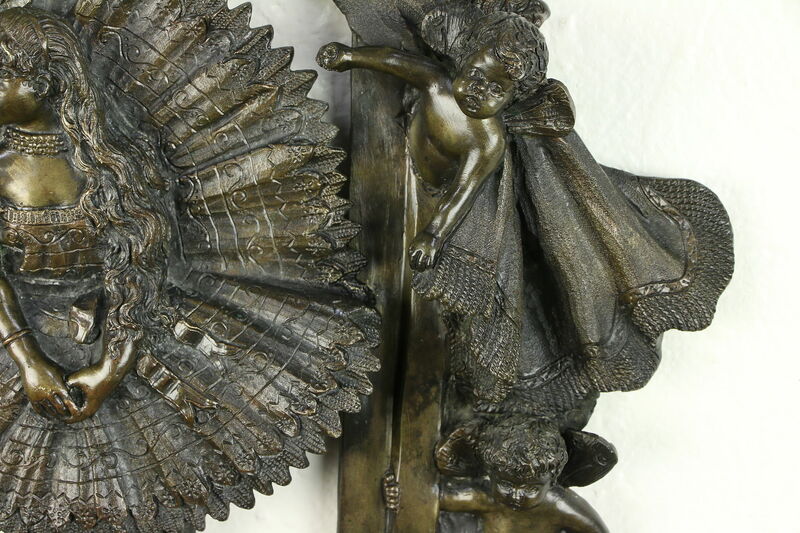 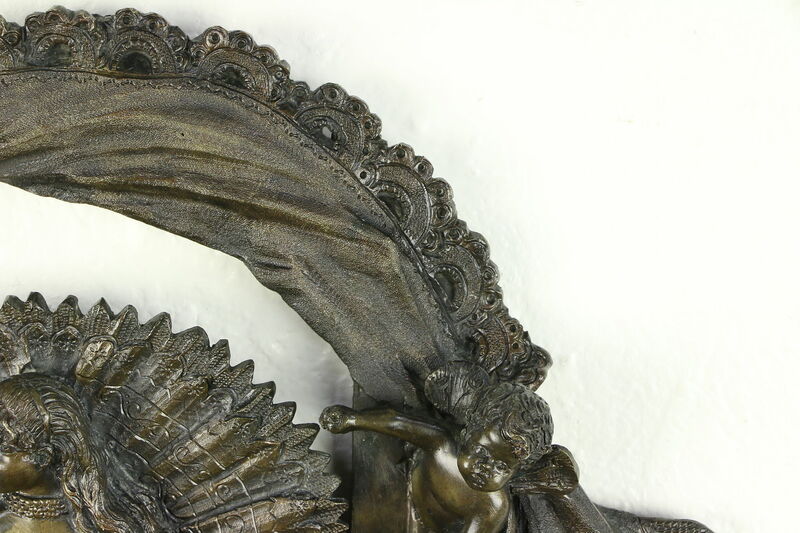 The rich dark patina is original and in excellent condition on this antique work of art. 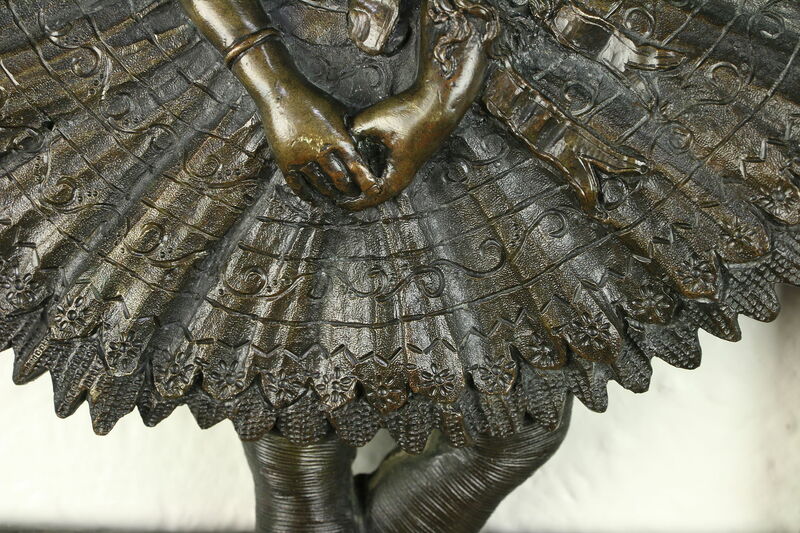 The ballerina is in a traditional pose in this heavy weight statue. 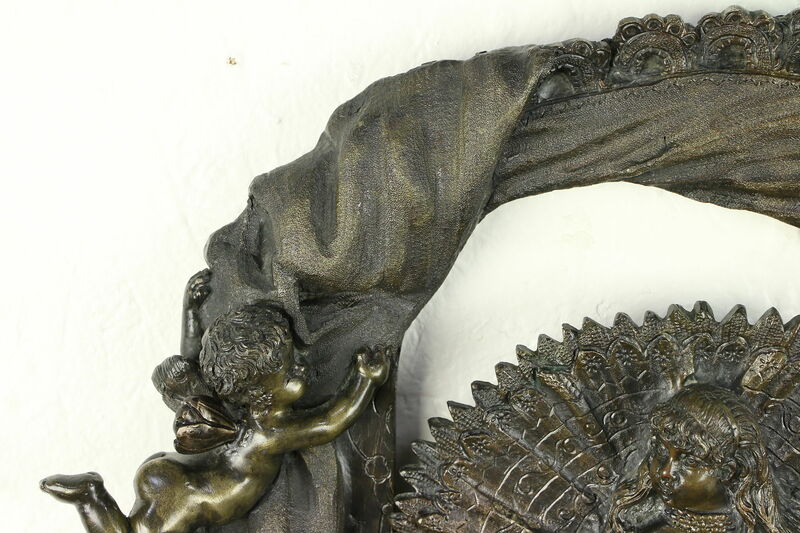 There is a hanging hook on the back, and this may have originally had an easel on the back. 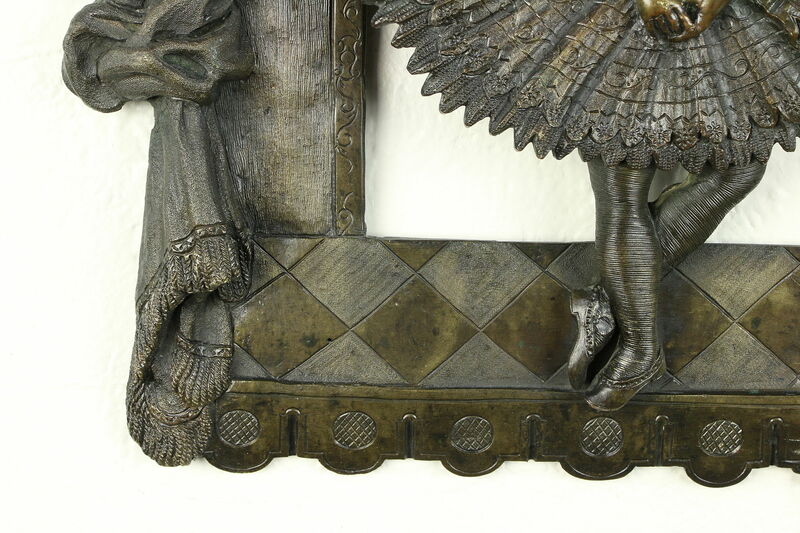 Overall size is 16" x 16" and 2" deep. 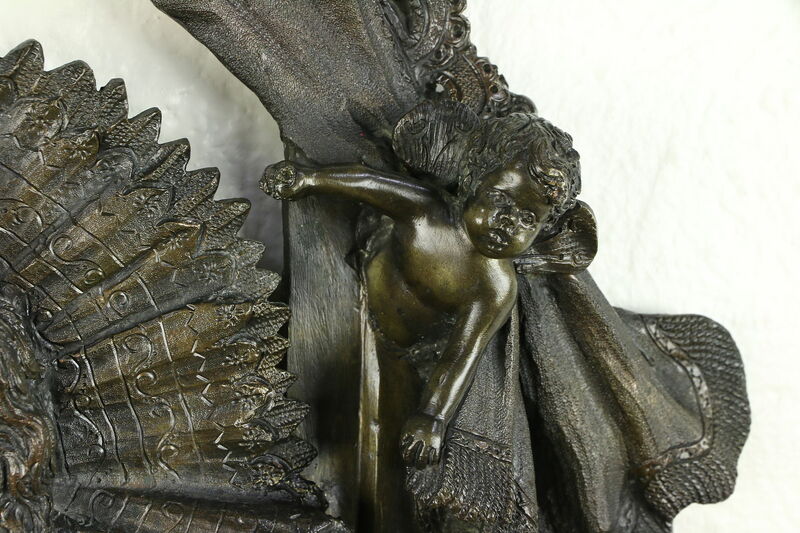 Shipping is $50 in the US, signature required.